Cocktail bar Twisted Lemon has asked to have its drinks licence relaxed after it was caught breaking the rules. 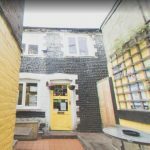 The Middle Street venue received a warning from Brighton and Hove City Council in December after a routine inspection found staff selling alcohol without food. Similar breaches of its licence occurred in November 2013 and March 2014, according to a report going before a council licensing panel on Friday (15 March). So now Twisted Lemon has asked the council to remove the restriction limiting alcohol sales to people sitting at a table eating a meal. The council’s licensing department opposed the application. It said that the Twisted Lemon was in an area known as the “cumulative impact zone” where applications for pub licences are automatically refused unless there are exceptional circumstances. Sussex Police also objected to the application. Licensing officer Chief Inspector Di Lewis said that an area of concern was “how the venue is being run under the current management”. “On (Monday) 10 December 2018 a joint visit was conducted by Sussex Police and Brighton and Hove City Council licensing department. The licensing panel is due to hear the application at Hove Town Hall at 10am on Friday (15 March).